Texas A&M University is the chief recipient of a major new grant program initiative announced by Texas Gov. Greg Abbott: the Governor’s University Research Initiative (GURI), which recruited 10 distinguished researchers to the state. Texas A&M University is getting five of the researchers, with grant awards totaling $20 million. Two researchers are going to the University of Texas at Austin and three will be at the University of Houston. “Texas is the home of innovation, and with the addition of these world-class scholars to our university faculties, we will continue to lead the nation in cutting-edge research,” Abbott said in a press release. “This strategic investment in higher education will further elevate future generations of students and faculty at Texas universities while spearheading new breakthroughs in the fields of science, technology, engineering, mathematics, and medicine, all of which are crucial to the long-term success of the Texas economy,” he added. Dr. George M. Pharr IV, currently the Chancellor’s Professor and McKamey Professor of Engineering at the University of Tennessee, as well as a member of the National Academy of Engineering. He’ll start his new job in January 2017. Pharr will study the creation and testing of nanomaterials and teach in the Materials Science and Engineering Department. Texas A&M was awarded $5 million for Pharr’s GURI grant. Dr. Richard B. Miles, a Senior Scholar at Princeton University and member of the National Academy of Engineering, who starts Feb. 15, 2017. He will establish and lead a Center of Excellence in Interdisciplinary Optical and Laser Detection Systems for National Security and Safety at Texas A&M as a faculty member in the Aerospace Engineering and the Mechanical Engineering departments. One potential application of Miles’ innovative research is the development of state-of-the-art instruments for remote detection of hazardous gases and dangerous contaminants, such as anthrax or the Ebola virus, hidden explosives, and greenhouse gases. The university’s GURI grant was $5 million. Dr. Girish Saran Agarwal, the Noble Foundation Chair and Regents Professor at Oklahoma State University, who starts Sept. 1, 2016. Agarwal’s research will focus on theoretical quantum optics, particularly on the interaction between laser light and atoms. He will study developing applications for the technology that could allow the identification of chemical compounds to form the basis to detect pathogens and chemicals at a distance. Agarwal will teach a course on spectroscopy in 2017, and will mentor graduate students as soon as he arrives at Texas A&M. The GURI grant totals $4,612,000. Dr. Thomas J. Overbye, the Fox Family Professor of Electrical and Computer Engineering at the University of Illinois at Urbana-Champaign and a member of the National Academy of Engineering. Beginning in January 2017, Overbye will start his research in Smart Grid Cyber Security, Renewable Electric Energy Systems, Power System Visualization, and Power Systems Operation and Control. He will teach in the Department of Electrical and Computer Engineering in the fall of 2017. His GURI grant totals $4.5 million. Dr. Leif Andersson, a Foreign Associate in the National Academy of Sciences. Beginning Sept. 1, 2016, Andersson will begin studying the genetics of domesticated animals. He will participate in graduate education programs of the College of Veterinary Medicine and Biomedical Sciences. For his research, Texas A&M’s GURI grant totaled $1,568,000. The GURI program was a flagship initiative of the governor’s program to bring the brightest researchers to the state to serve as economic catalysts for the future of the Texas economy. GURI is patterned after a similar program in the Texas A&M University System established under the leadership of Chancellor John Sharp. “These generous awards, which will bring five nationally and internationally renowned researchers to Texas A&M University, are smart, strategic investments that will have a huge payoff for the people of Texas. Governor Abbott clearly understands the value of our research mission, and I applaud his commitment to it,” Sharp added. Applications to the GURI grant program are accepted on a rolling basis, and eligible institutions can apply for matching grants of up to $5 million per researcher. 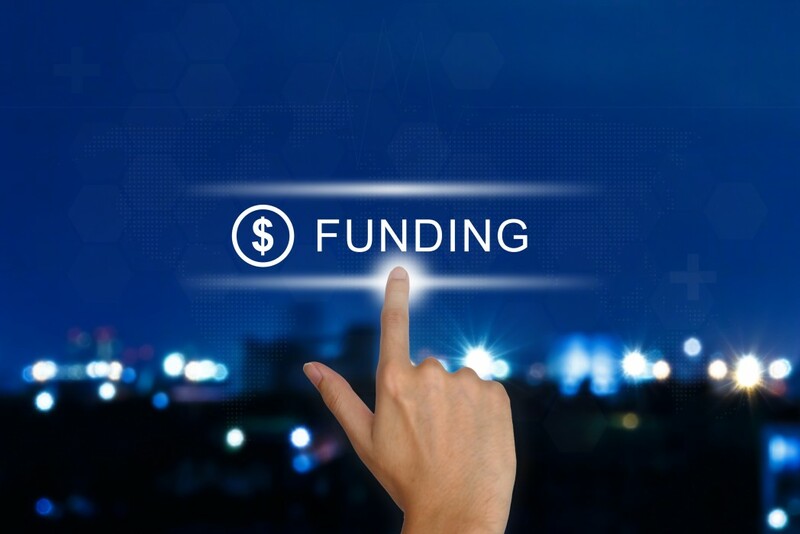 Grants are meant to be used for recruitment costs, the purchase of research equipment, and construction or renovation of the necessary facilities to support the research projects.